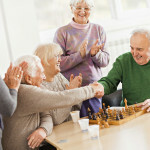 Proposed Rule on Conditions of Participation – That massive proposed rule of July 2015 included a sweeping set of proposed regulations for nursing homes, from which a final rule is now being prepared. That rule is expected in September 2016, but may arrive at some point this summer. Proposed requirements included the Facility Assessment and competency-based staffing, as well as a focus on infection control, but includes many other areas. The final rule will include revised Interpretive Guidance, plenty of new S&C memos, as well as training tools for surveyors. Improving the Survey Process – Last year, CMS issued an informational letter that reviewed the Traditional Survey and the Quality Indicator Survey (QIS), looking at the effectiveness of both processes. It seems like CMS has been talking about the QIS for forever, and despite making continuous improvements to the survey format, its rollout remains paused as of 2012. The letter noted that CMS is developing a hybrid survey model that will incorporate pieces of the QIS into the traditional survey, which is also mentioned in the Action Plan. Increasing Surveyor/Regional Office Training – CMS has recognized the need to enhance training for surveyors and, in addition to providing more training, it has also improved the testing requirements for surveyors. As we mentioned before, the QIS continues to be improved, and QIS surveyors have been receiving more training. Focused Survey Types – The past couple of years have been all about CMS Focused Survey Pilots and the rollout of different survey types. There’s the Focused Dementia Care Survey, the MDS Focused Survey, the Adverse Drug Event Focused Survey, and most recently, the announcement of an Infection Control Pilot Project that will include some pilot surveys. What does that all mean? As we said before, CMS recognized the gaps in its surveyor knowledge, and knowledge is power. Expect surveyors to find more deficiencies in these high-profile areas. Improvements to the Life Safety Code (LSC) – At the beginning of May, CMS issued a S&C letter alerting long term care facilities that updated Life Safety Code (LSC) requirements have been adopted. The updated requirements allow facilities to create a more homelike environment while ensuring the safety of the residents. The Action Plan also outlines the ongoing focus by CMS on emergency preparedness and disaster planning in nursing homes. Enhancing the Complaint Investigation Process – CMS is working to improve consistency in its investigation process for complaints, including improving survey investigative skills and RO oversight. CMS recently reminded surveyors about the hierarchy for the review process related to survey overall in its March S&C letter on Exit Conference Procedures. Take a look at the October 2015 GAO report, “Nursing Home Quality: CMS Should Continue to Improve Data and Oversight,” and you’ll see that many of the identified problem areas in this report have become focus areas of this Action Plan. One other key element of this strategy is Infection Control in Long Term Care, which we will take a look at in a separate post. Contact CMS Compliance Group to discuss our interdisciplinary compliance consulting services, including Clinical, Nutritional, Social Work, Environmental, Operational and Legal consulting.